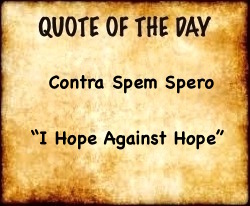 The austere Roman Republic (509—27 BC) which conquered most of the known world passed many Sumptuary Laws in an attempt, among other reasons, to curtail the excesses of wealth and to remain an outwardly disciplined, republican country. 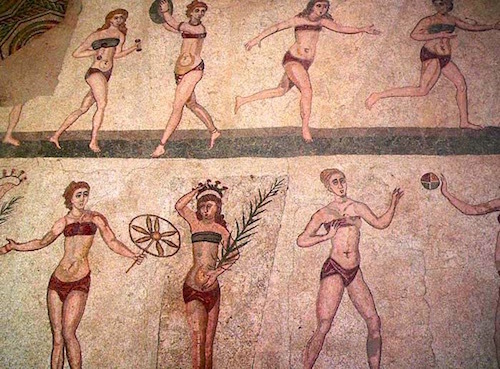 Some of those laws were “dress codes” to distinguish the patrician from the plebeian. The later Roman Empire (27 BC- c.420 AD), on the other hand, discarded all the Sumptuary Laws except the law regarding the wearing of the color purple. Only the Emperor was allowed to wear a Tyrian purple cape trimmed in golden threads. 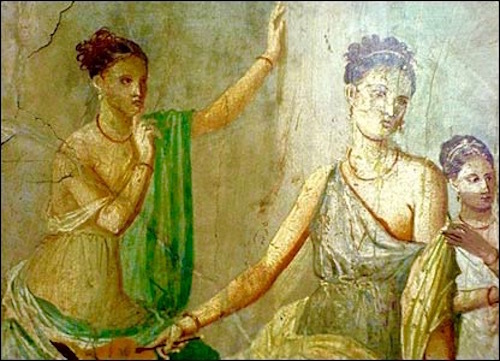 The ancient Romans loved colored clothes. One imagines them only in statues wearing white marble togas because the normal person sees few paintings or mosaics from the time that picture Romans in colored fabrics. On this very beautiful Little Hunt mosaic (below), the six men and one boy sport brightly-colored and patterned tunics for their hunting trip. The reason purple was only worn by an Emperor is because the purple of the ancient world was only obtained from the Phoenician coast’s Murex sea snails. The color was often known as Tyrian purple. When crushed, the Murex snail emits a purple color. As many as 10,000 Murex mollusks were crushed to dye just one toga. So it was a very labor-intensive expensive dye. The first Christian convert in Europe (early 50’s AD) was a woman named Lydia who was a seller of purple cloth. She obviously made a good living as a saleswoman selling that expensive Tyrian cloth in Philippi, many miles from the home office in Thyatira, because she hosted Paul and his many helpers in her spacious home. 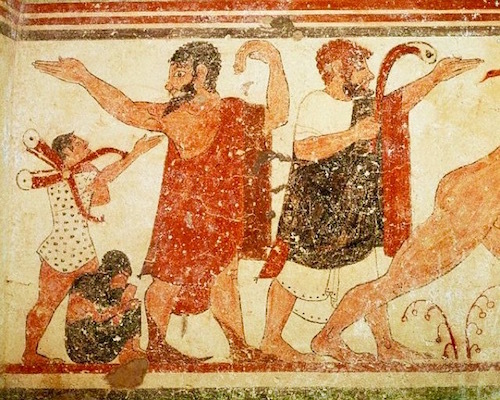 Only the wealthy and upper class Romans (c.10% of the population) could wear colored clothing. The normal Roman typically wore plain white togas or tunics. Yellow cloth was highly prized. It was made from the hand-picked red stigmas (female part) of the saffron crocus (Crocus sativus) found in the Mediterranean which were dried and then boiled with other plants to produce the desired yellow color. These threads, called saffron, have been prized in textiles and kitchens for thousands of years. 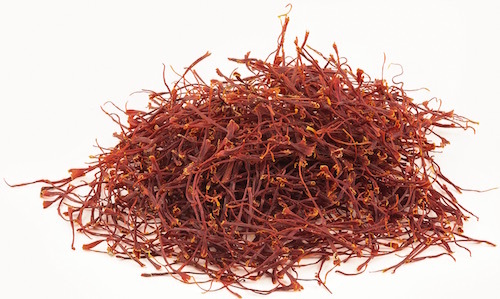 Today if one wanted to buy a pound of saffron for culinary use, it would contain c. 200,000 threads (hand-picked stigmas from the crocus) and would cost c. $4,000./per pound. 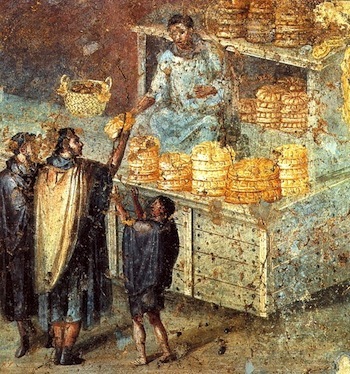 It is expected that the beautiful yellow gowns/togas of the Romans would be very expensive in their sesterces currency. Another very expensive dye was crimson/red. Mankind has loved red clothes and objects from the time of the Egyptians (3000 BC on) through the Greeks, the Etruscans and the Romans. We can thank the 0.2 inch female scale insect called Kermes vermilio Planchon aka Kermes for providing our very ancient predecessors with red clothes. This prized little scale insect was, as with the crocus and saffron, labor-intensive to harvest from trees. It fed on the sap of its host and, miraculously when harvested, dried and fermented, produces the Kermes Crimson Dye used for millennia to dye the clothes of the well-to-do. Some say the reason Pope Benedict XVI restored the use of red papal shoes was because his personal cobbler, Adriano Stefanelli from Novara was harking back to the royal Etruscans in Italy who wore them. 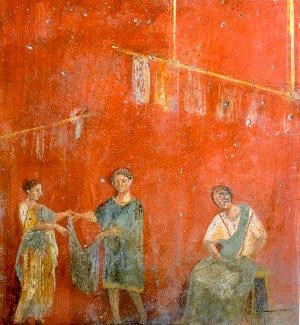 There were, of course, dyes made of plants and insects worn by some who were not royal or wealthy in Rome: the Woad plant to produce a blue toga and lichens to produce a green toga. But the upper classes of the ancient world rarely wore such cheaply colored clothes.